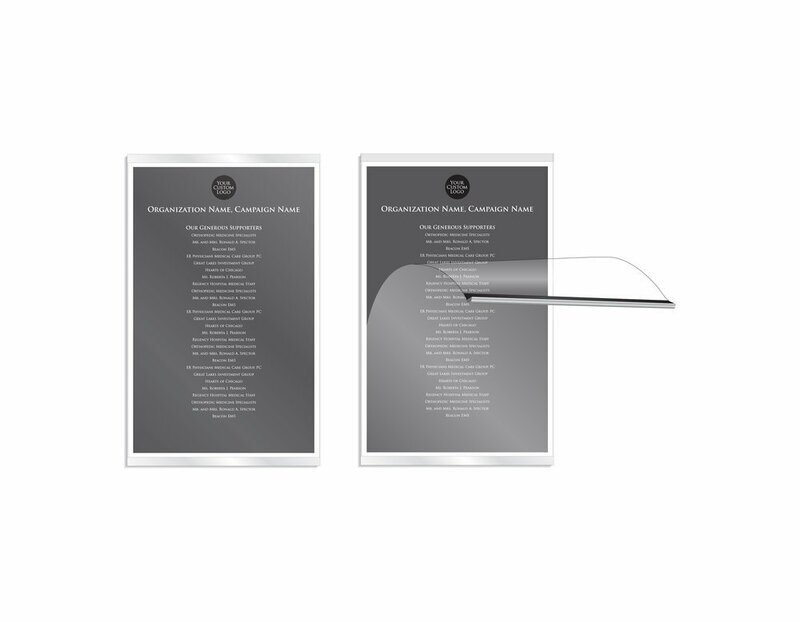 The main feature of the Simpla Frame are the 11” x 17” aluminum paper insert frames. 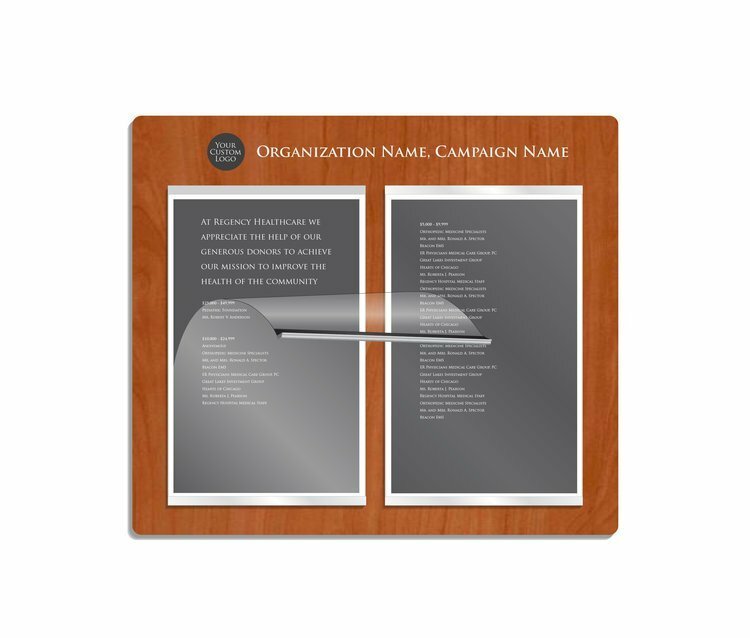 Each 11″ x 17″ frame holds approximately 30 names. 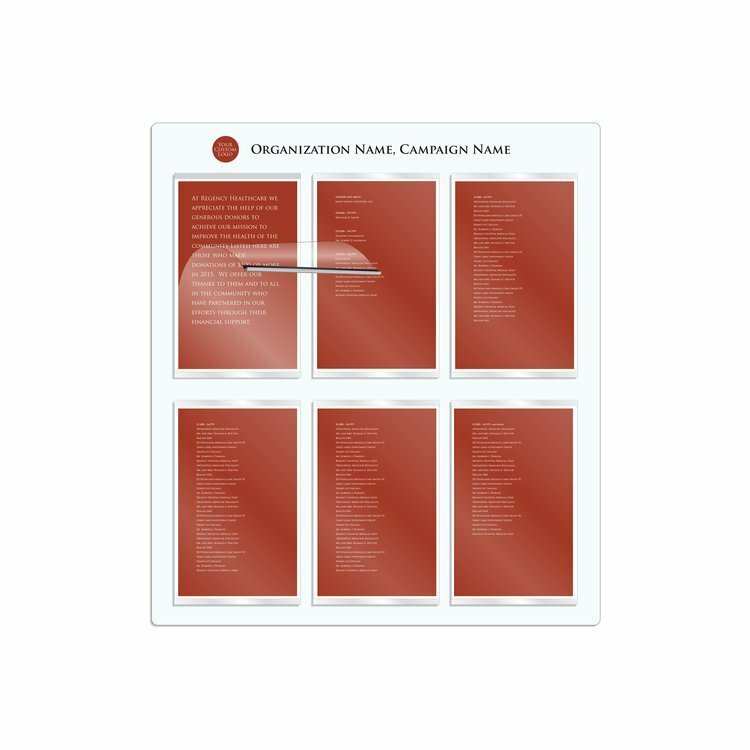 You can choose from one to six frames to create your donor wall. 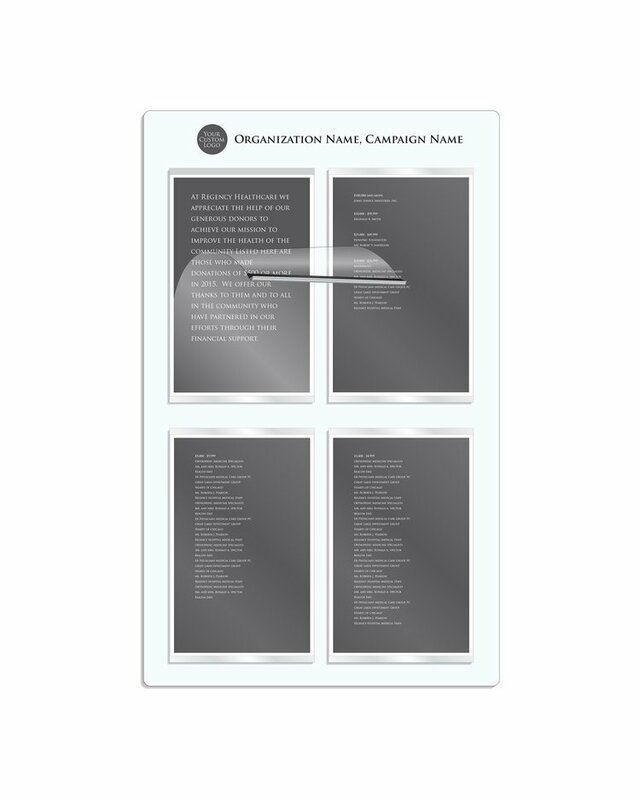 These donor walls are created for annual campaigns that need a budget friendly way to recognize major donors and update with ease. 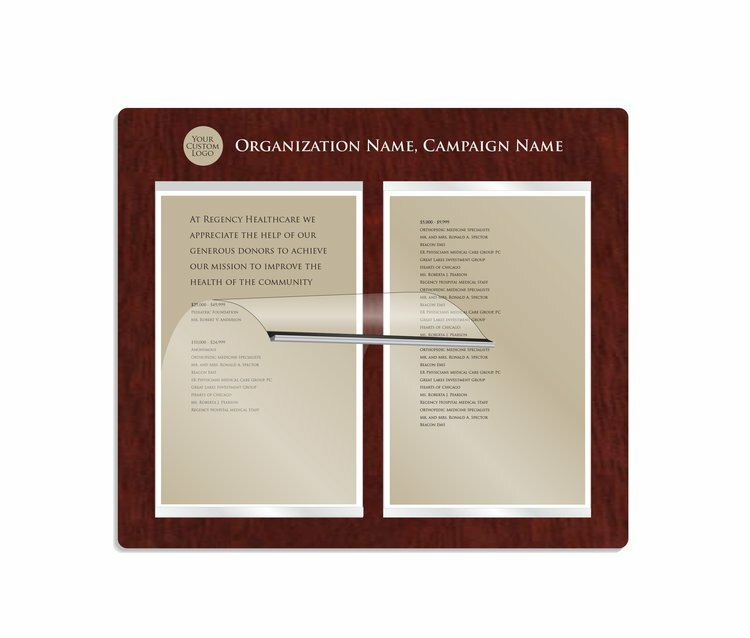 Frames are attached to 3/4″wood laminate or a 3/8″ acrylic backplate. Backplate options include acrylic, maple, cherry, or mahogany laminate. 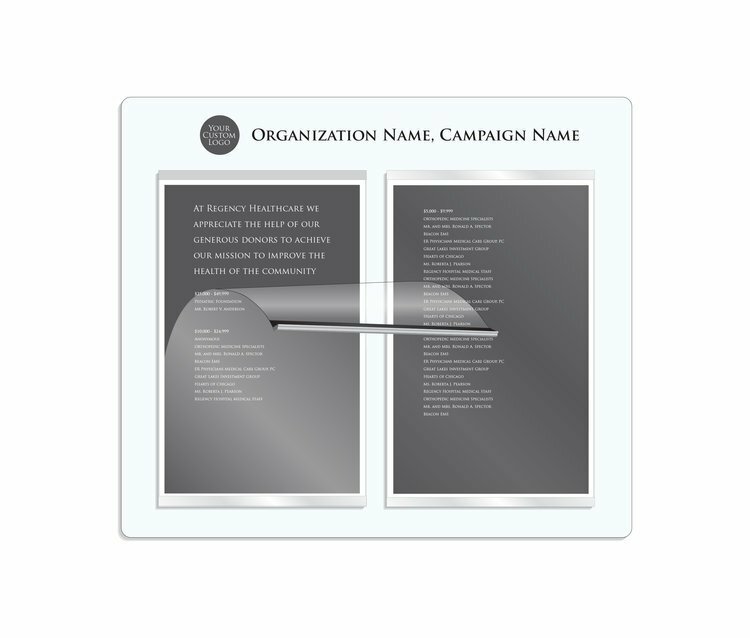 We’ll design the first set of inserts to match your organizations brand image. Inserts can be any color and can include photos, logos and illustrations. 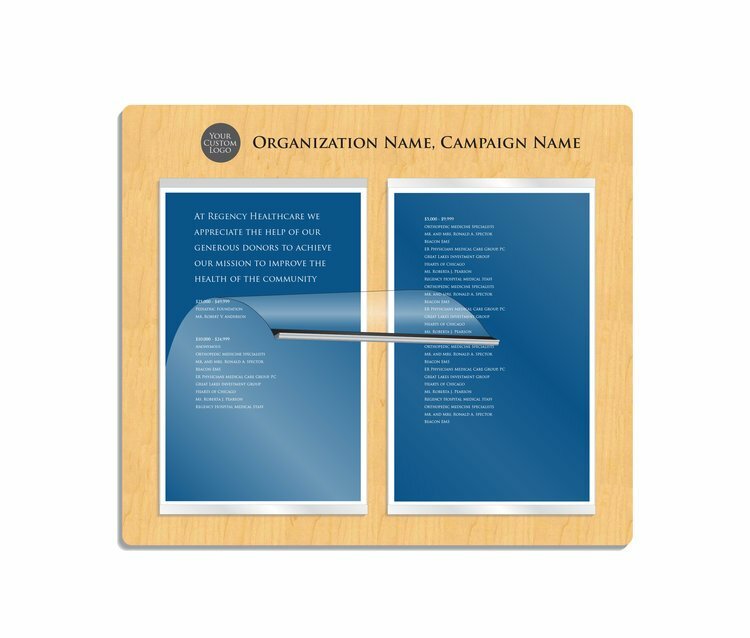 We’ll provide a Microsoft Word template that you can use to add or subtract names. The inserts can be printed in-house, by DonorSigns.com or by any local Fedex office or office supply store. Production of this donor wall can take 2-4 weeks. If you are on a timeline let us know; we will work with your timeline and get your plaque finished for your event! The installation method for this plaque is stud mount. Along with your plaque you will receive a set of studs, a tube of silicone, and a drilling template. Installation is simple with instructions and hardware included in each package. Installation requires two people, a drill and a level. We ship our products through UPS Ground; typical shipping time can be 2-4 days. 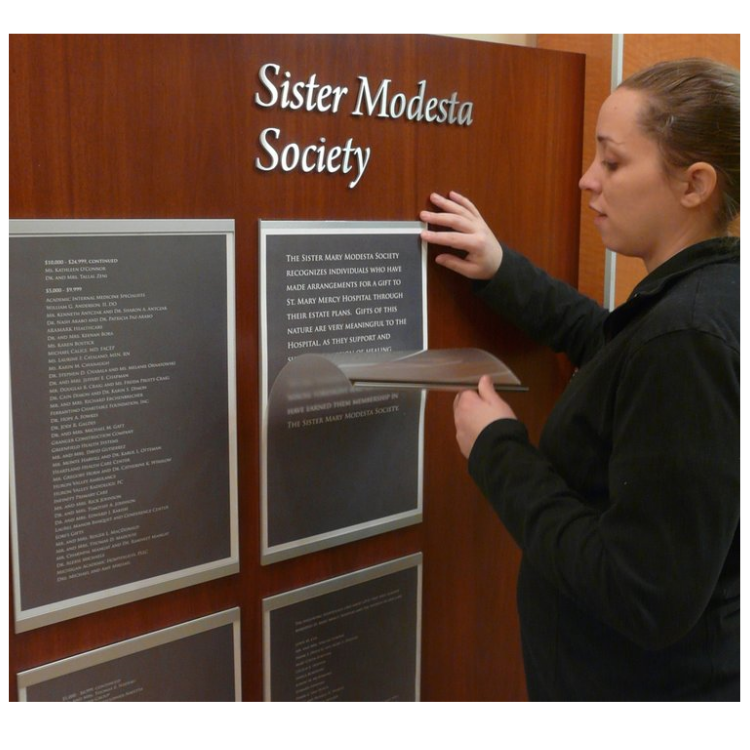 This is our easiest to update and least expensive donor wall system. It uses high quality components with an elegant and sophisticated appearance. 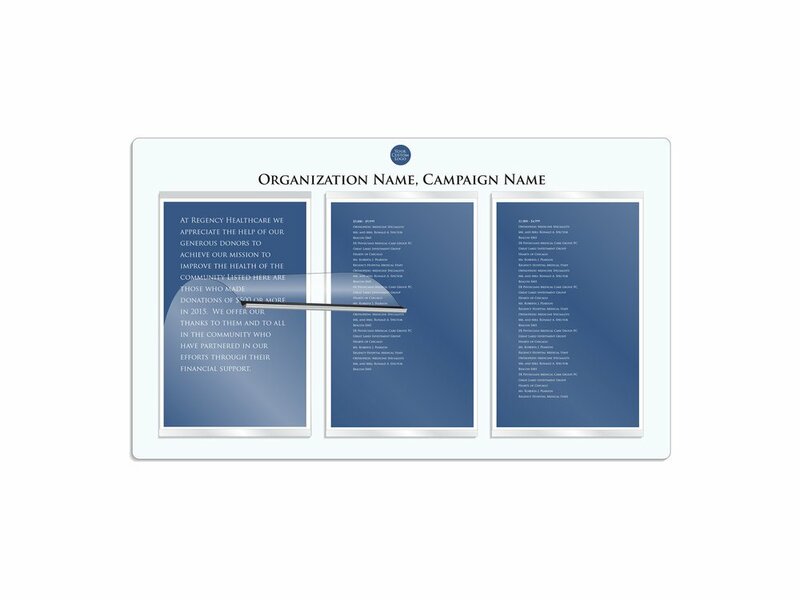 When it’s time to add new donors, simply pull the top of the frame away from the wall and replace the 11″ x 17″ paper insert. Fill out the form below to see what your Simpla Donor Wall will look like; Please specify if you have desired font, logos, or color preferences.